 April 3, 2017 | Advertising Disclosure | Our Sponsors may be mentioned in this article. 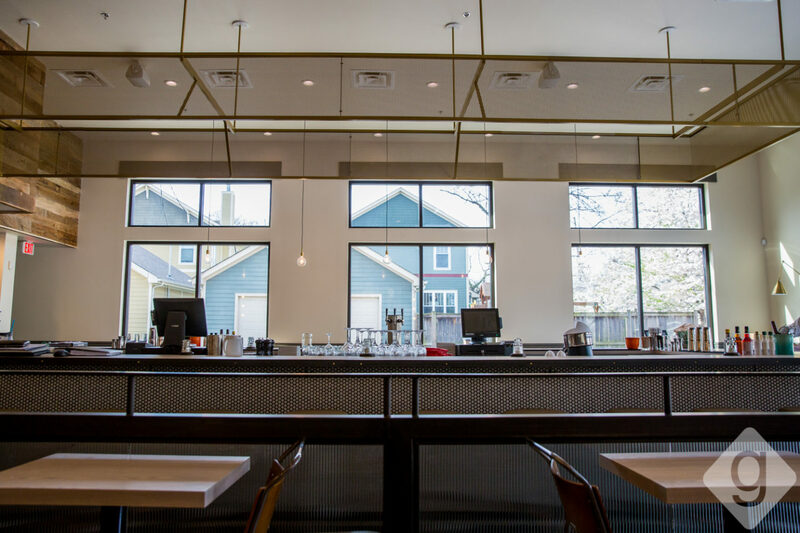 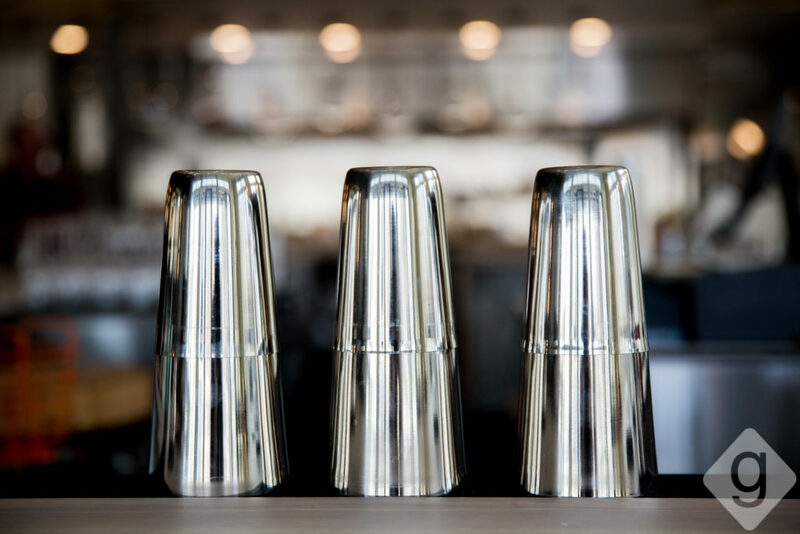 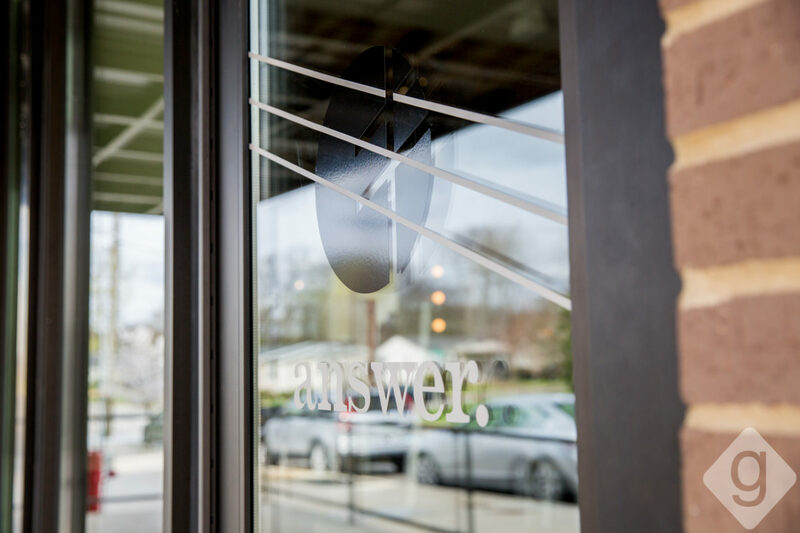 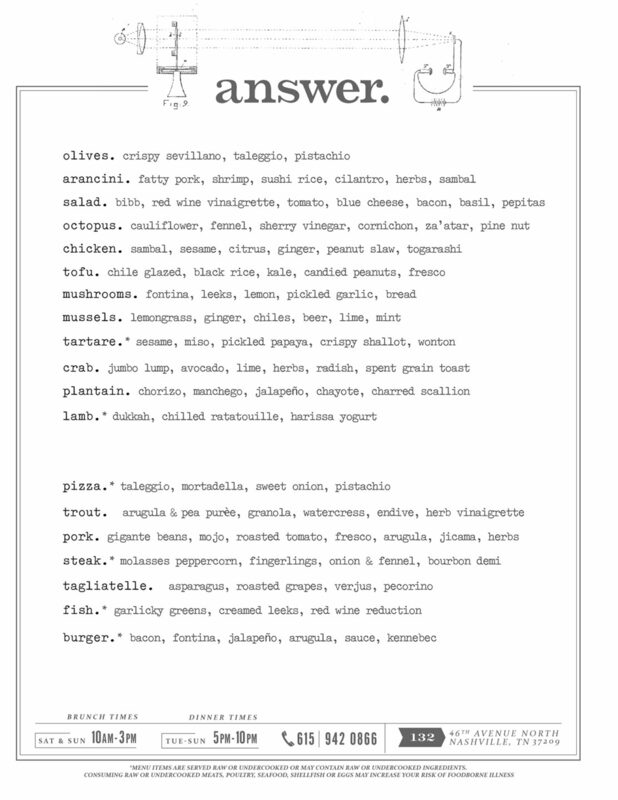 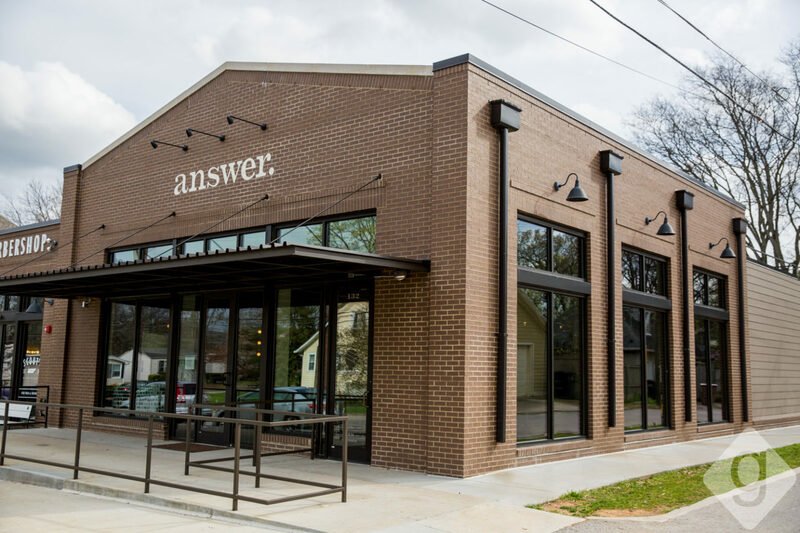 Answer, a new restaurant from Victoria Rothberg and Chris Raucci, opens to the public on Tuesday, April 4, 2017 in Sylvan Park at 132 46th Avenue next to Scout’s. 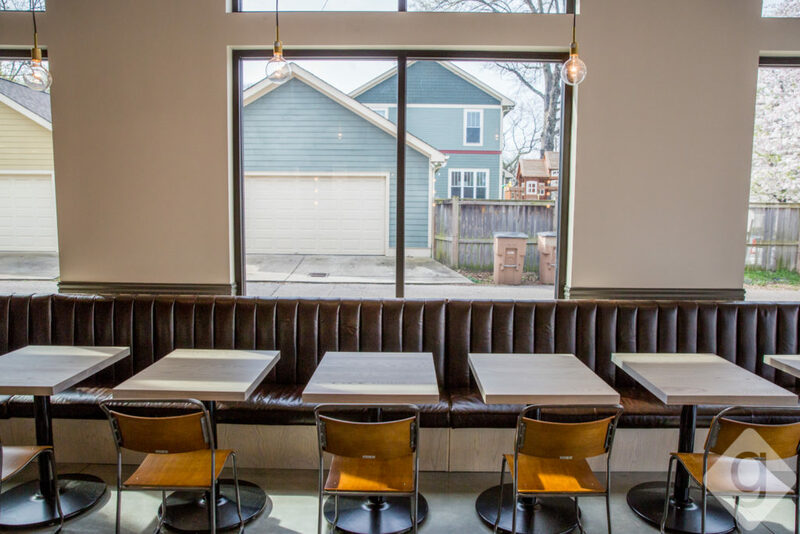 The 2,300-square-foot restaurant aims to be a high-end, yet approachable neighborhood spot for friends and family to gather for dinner and conversation. 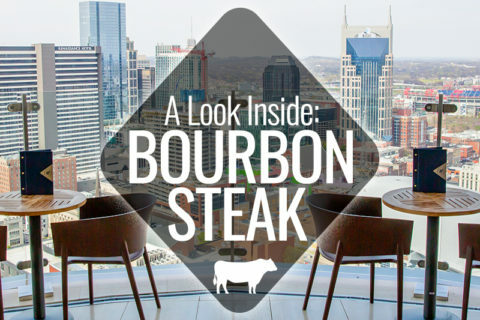 Nashville Guru got a look inside the new space. 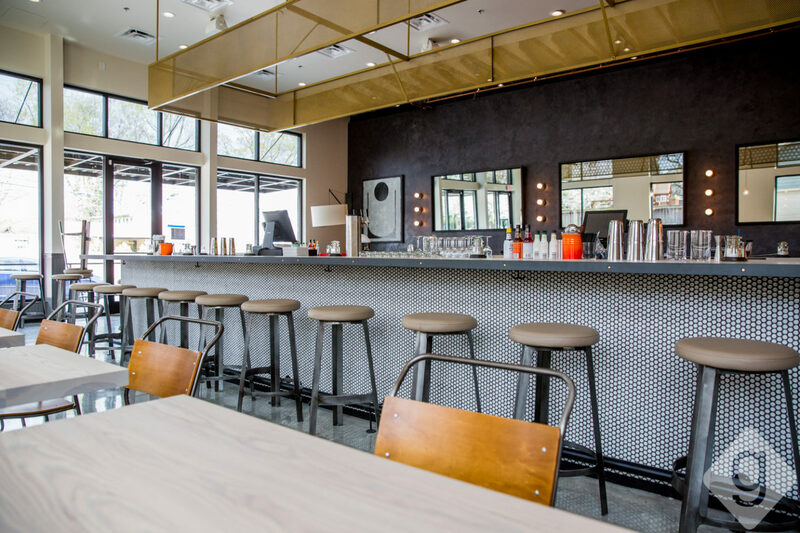 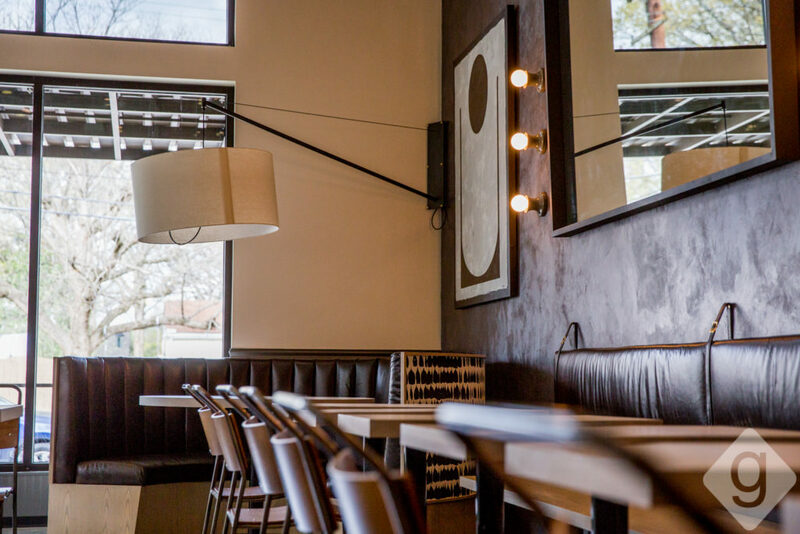 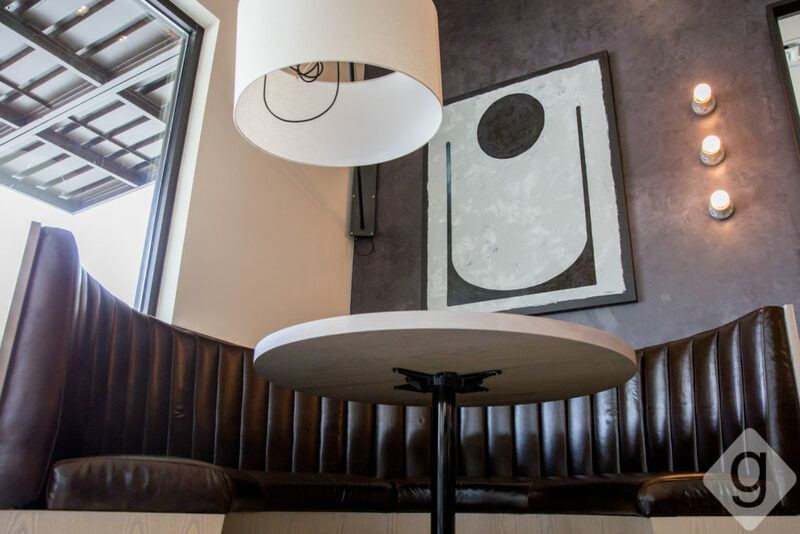 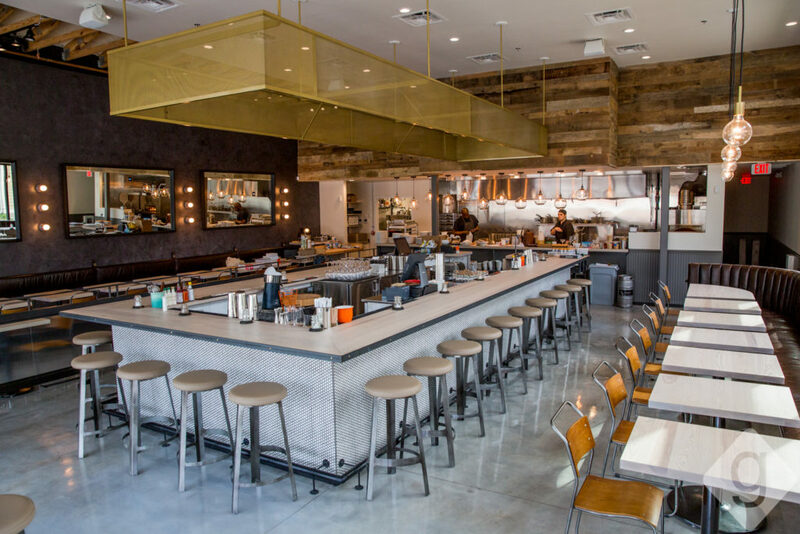 Answer’s modern interior, designed by San Francisco-based Hannah Collins Designs, features a central 22-seat wrap-around bar, leather booths along the walls, and numerous two-top tables. 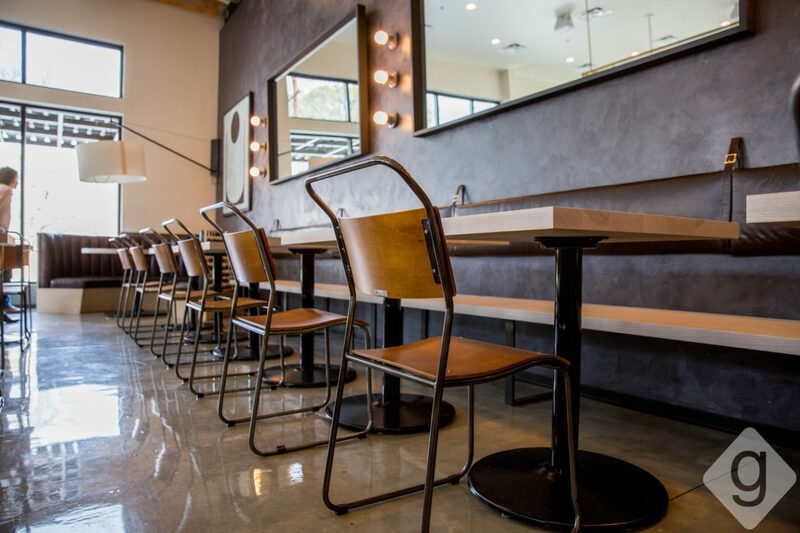 The space incorporates furniture from Chattanooga’s Range Project. 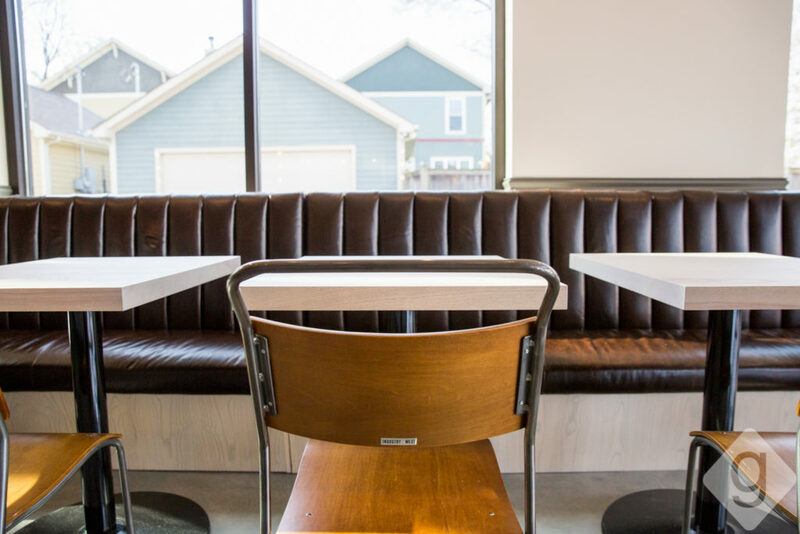 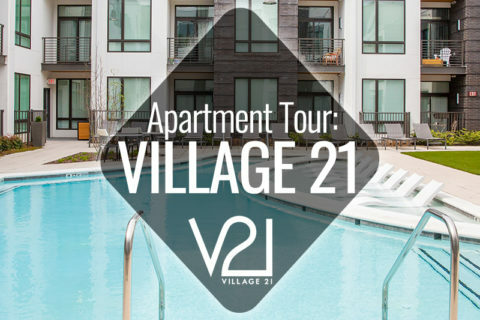 There is capacity for approximately 75 inside and 28 on the future outdoor patio. Answer’s globally-driven menu focuses on shareable plates ranging from $5 to $30. 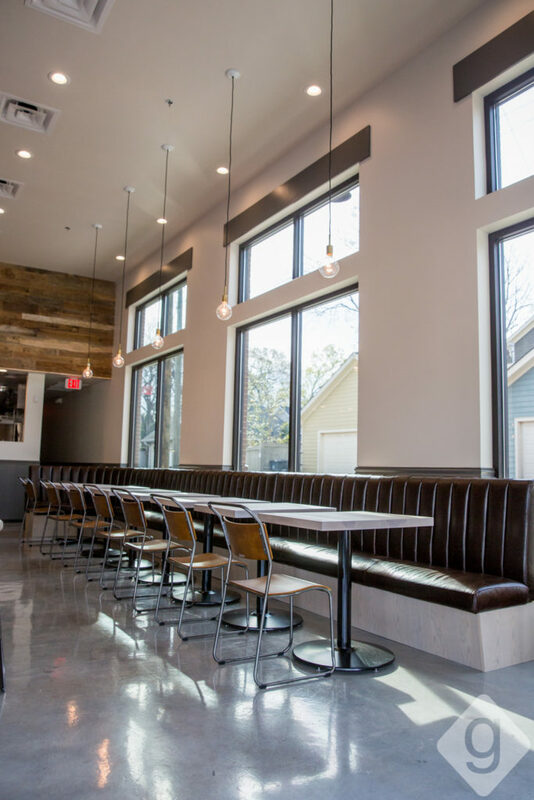 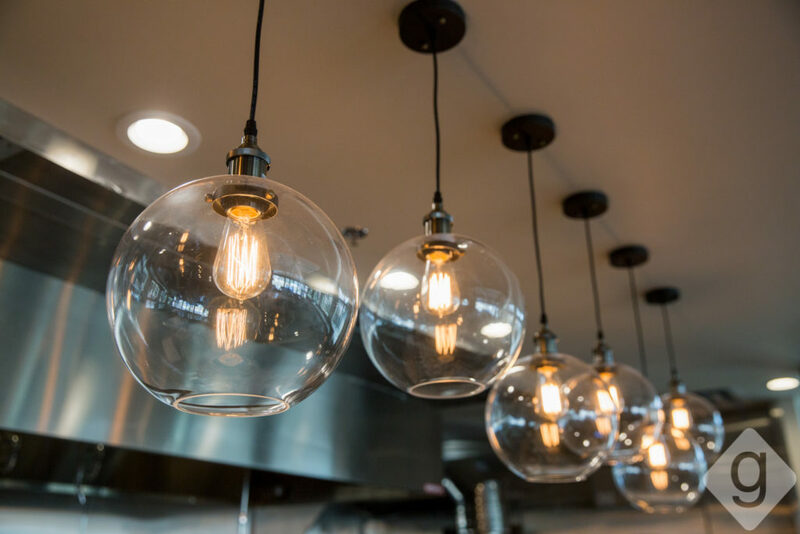 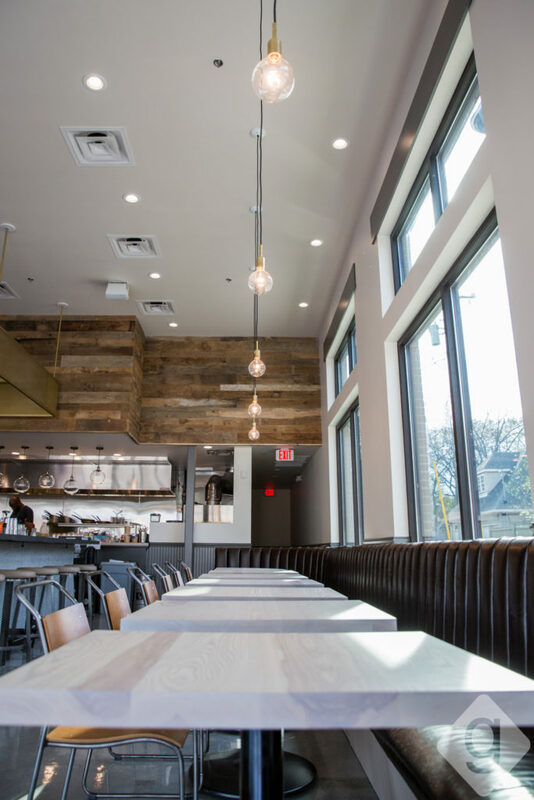 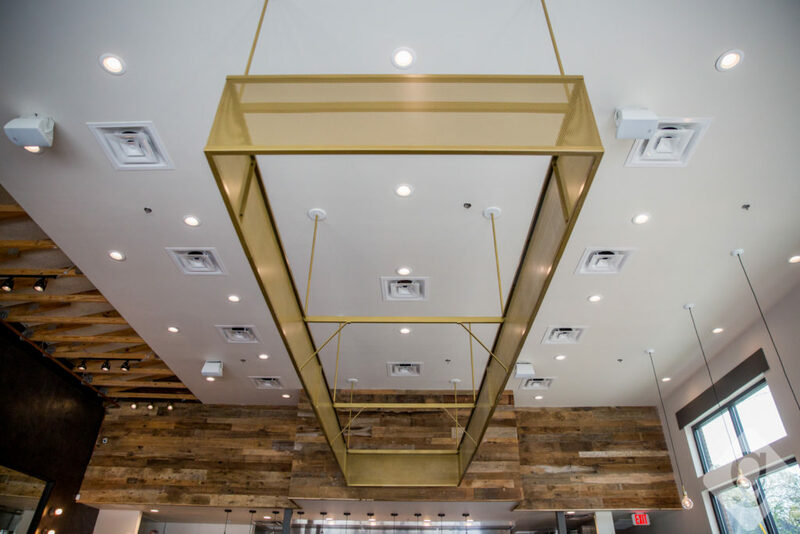 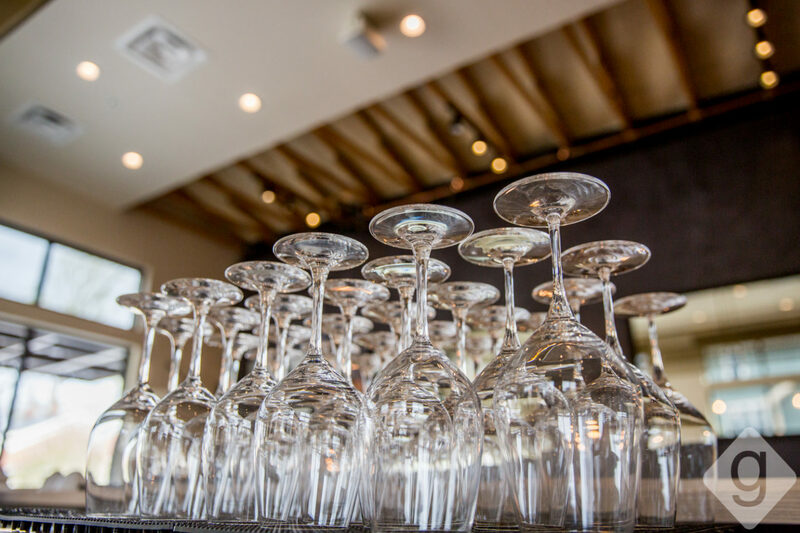 Dishes include Asian-inspired Arancini, Mediterranean roasted octopus and tostones with house-made chicken chorizo, house-made pasta, and burgers ground in-house. 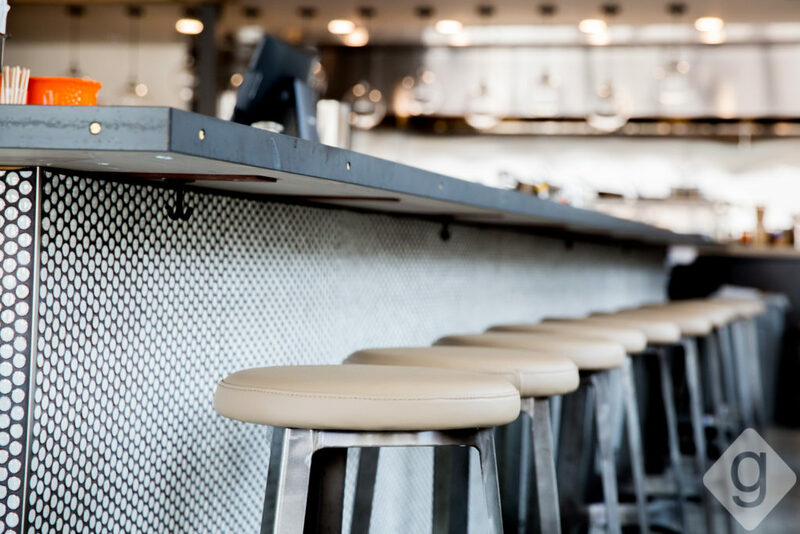 The full bar features wine, beer, and speciality cocktails. 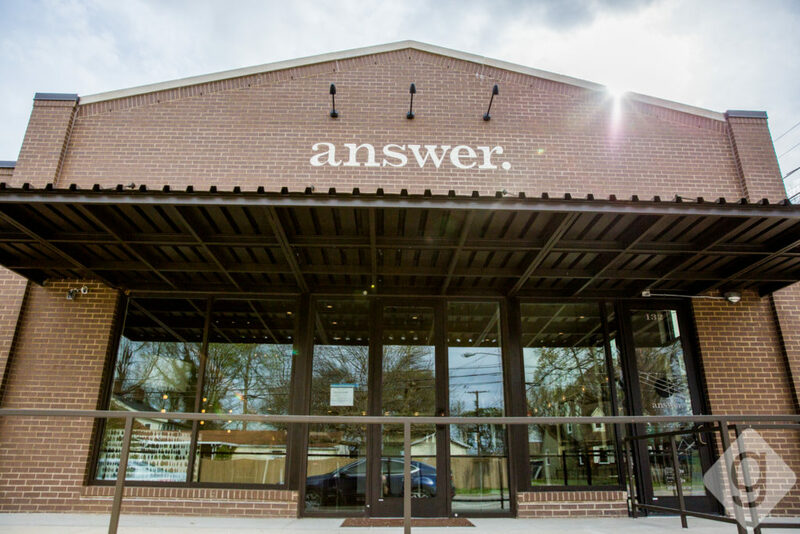 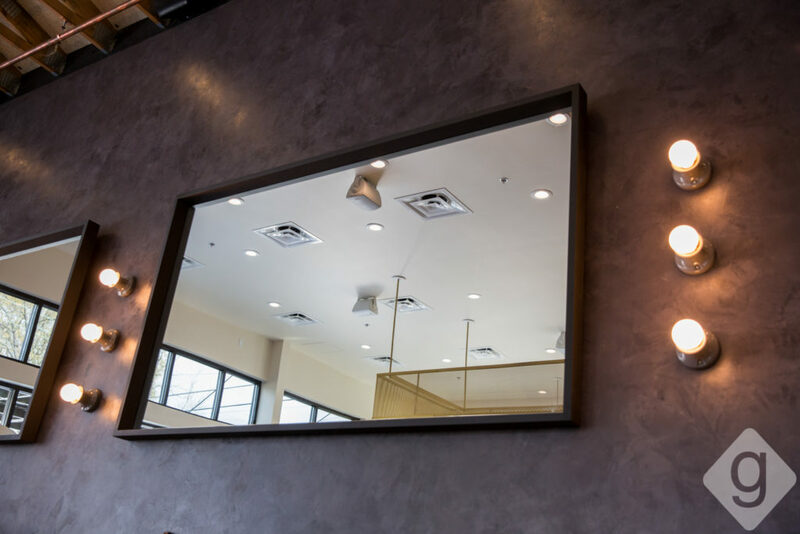 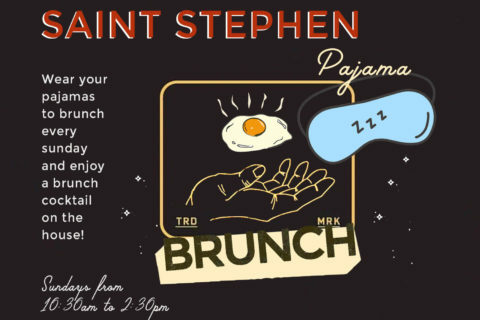 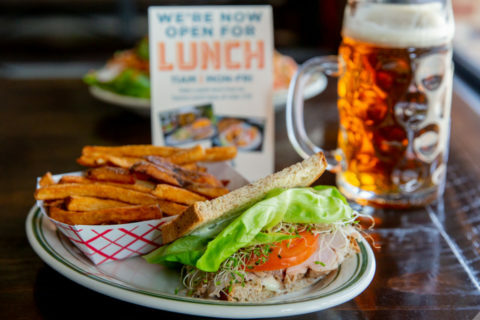 “The name for our restaurant really represents human connection and how a simple ‘how was your day?’ turns into a much more meaningful conversation around the dinner table,” said Rothberg.